The British weather finally got better so it was time to stretch my legs. But I have to admit I got bored of doing the same walks every year. Richmond Park, Wimbledon Common, river Thames towards Kew, Richmond, Kingston or Hampton, Hampstead Heath, I have walked in those areas so many times. At the same time I didn’t want to venture too far from London and still wanted to see something interesting. So I started browsing the Ordnance Survey Explorer maps covering Greater London as well as using Google maps to find some exciting destination for my next walk. 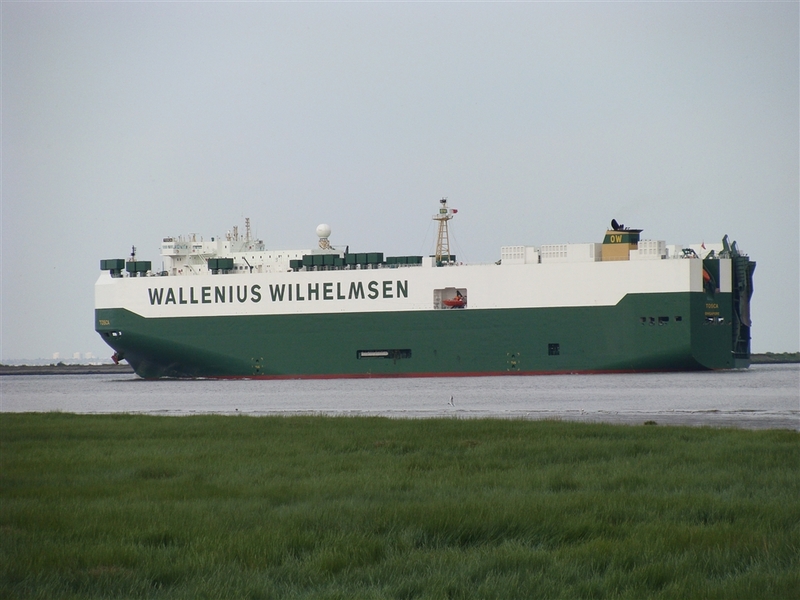 It was then that I spotted a fascinating shape in Tilbury, just east of London. 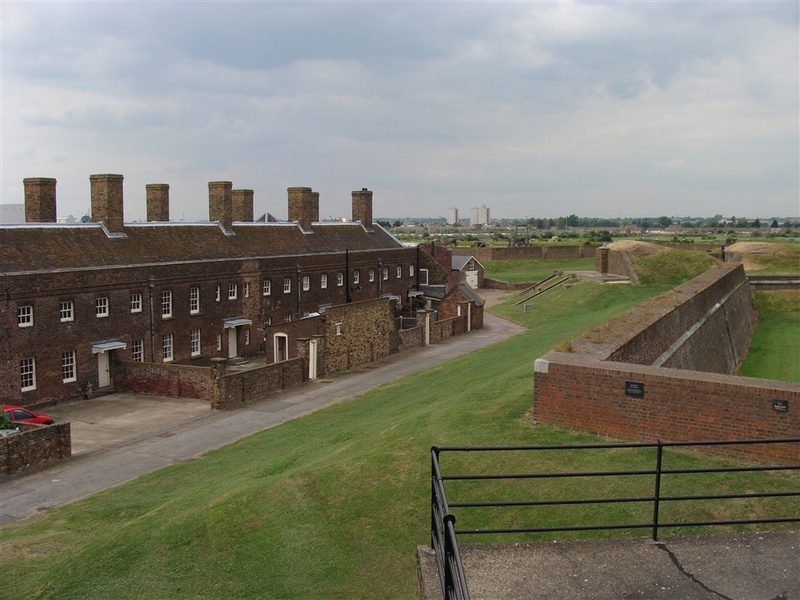 After a quick investigation I found out that it is Tilbury Fort and a couple of more minutes later I was sure that I really wanted to visit it. A few days later we (I mean me and my equally geeky girlfriend) started our little adventure by taking a train from London Bridge to Gravesend in Kent. A quick look at the map of the area revealed that we might have chosen the wrong side of the river to start our walk. But don’t you worry, it was all well planned. 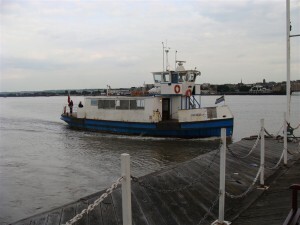 We decided to use the passenger ferry linking Gravesend with Tilbury as it is a cheap, quick and fun way of travel. The boat, euphemistically called a “ferry”, was a rather ancient looking vessel called Duchess M and it was built in 1956. Crossing the Thames takes just a few minutes and offers great views of Gravesend and Tilbury as well as of the huge cargo ships frequently passing here. After landing in Tilbury we made our way to the fort which is located just a few minutes from the ferry landing. As soon as I saw it I knew it was going to be a great day out and of course I wasn’t wrong. The only time the fort saw any real action was during the First World War when anti-aircraft guns on the parade ground shot down a Zeppelin airship. However, it still has a long and interesting history, even if it was never really attacked. Of course the fort was rebuilt, modernised and expanded many times since. 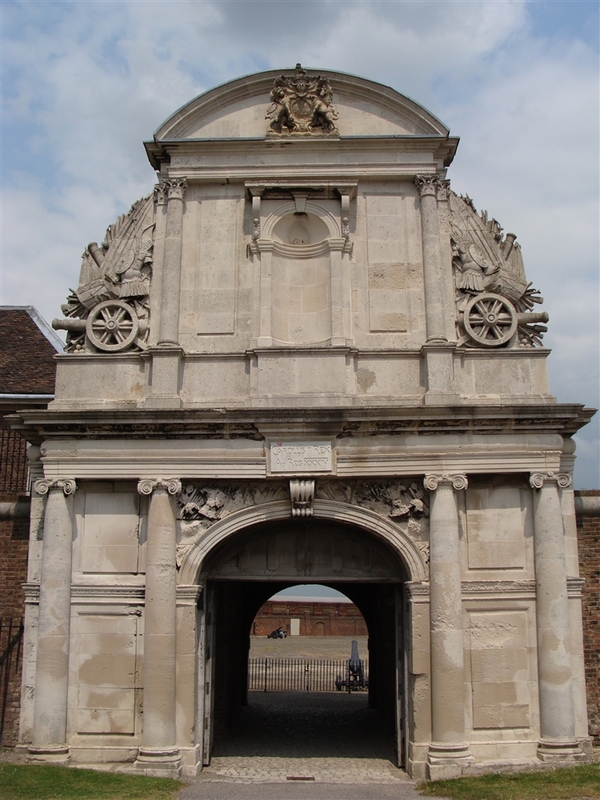 In fact its oldest surviving part is the impressive and beautifully decorated Water Gate built around 1682. Despite the name it is not connected to president Nixon but instead it was built during the reign of Charles II (whose name in Latin is inscribed above the doorway). Today’s visitors still enter the fort via this gate. 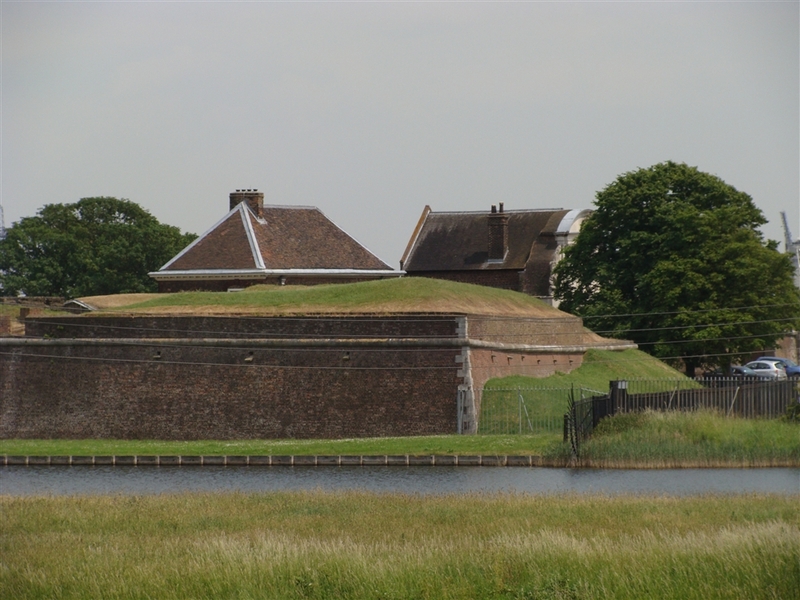 Tilbury Fort is one of the best examples of its type in England, with its circuit of moats, bastioned outworks and a star shaped plan. Visitors can tour the magazine houses used to store vast quantities of gunpowder or enter the bastion magazine passages and feel what it was like for the soldiers who lived here. We really had fun checking all the possible corners, taking plenty of photos and playing with various guns of all shapes and sizes. During the visit we also learned that the English Heritage (which nowadays cares for the fort) lets a few flats in the former officers’ quarters to the public. Inhabitants have their own set of keys for the fort so they can drive in and out after it closes to the public. Imagine how cool it must be to live in a historic fort. It also must be the safest location for miles around, with all the moats and bastions for the protection. One of the most surreal experiences in the fort are the views from its bastions. 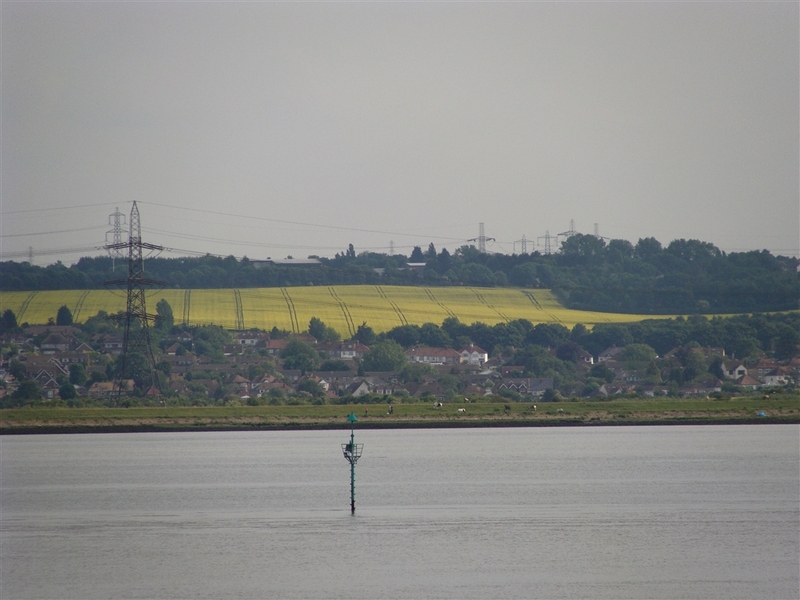 On one side there are views of massive modern cargo ships passing right by it, (they are so much bigger than this once mighty fortification), on the other side there is a panorama of the even larger Tilbury B Power Station and associated power lines stretching into the Essex landscape. It is definitely a bizarre mix of old and new. Planning our trip I noted another fort located just 2.3 miles downriver and we decided to walk there. 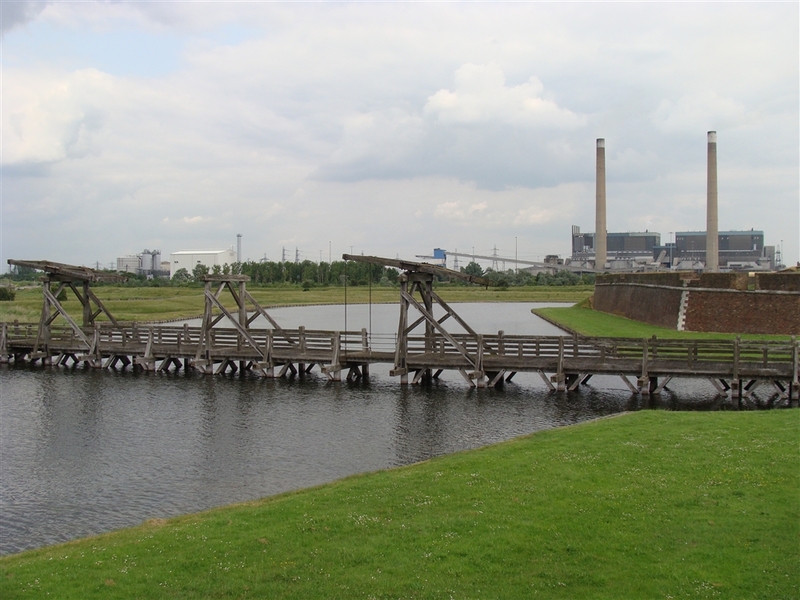 The path along the river, from Tilbury to Coalhouse Fort, must be one of the most surreal trails in the country. 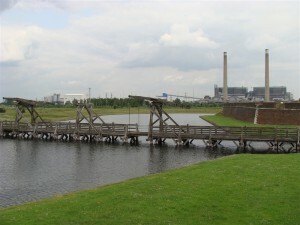 It runs along the concrete seawall protecting the sewage treatment works, then passes via an industrial looking covered walk-away over the conveyor belts delivering coal from ships to the power station before passing along partially re-cultivated old waste dump. Only closer to the Coalhouse Fort the terrain becomes more natural. Despite the industrial feel (or maybe because of it) I really enjoyed the walk. One of its best aspects is the chance of watching the mighty ships entering the London harbour. It must be a great location for ship-spotters. 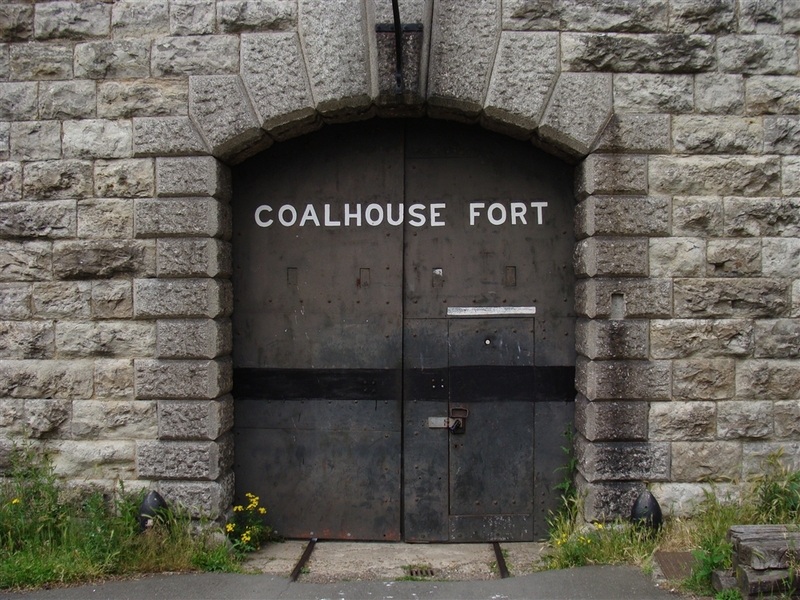 The Coalhouse Fort is currently closed to the public, (apart from a few selected dates), but it is located in a nice park and it still looks impressive, even just from the outside. Built only in the nineteenth century it is a much more recent structure than its Tilbury neighbour. It is a large semicircular building partially surrounded by a water filled “wet ditch” and it does look as mean as any proper fort should. The fort was built on a low lying land in a curve of the river Thames at East Tilbury and was positioned there to form a “triangle of fire” between Coalhouse Fort on the Essex bank of the river and Cliffe Fort and Shornmead Fort on the Kent bank. All the guns are of course silent nowadays but the views are still impressive. From the Coalhouse we backtracked our way to Tilbury admiring even more mighty ships as well as rural countryside on the opposite (Kent) side of the Thames, before catching the ferry back to Gravesend. I have to say it was one of my most interesting excursions in the recent years and I can recommend it to anyone with an open mind or an interest in things military and industrial. This entry was posted in Uncategorized and tagged Coalhouse Fort, Gravesend Ferry, Thames Estuary, Tilbury, Tilbury Fort, Tilbury Power Station by Geogregor. Bookmark the permalink.